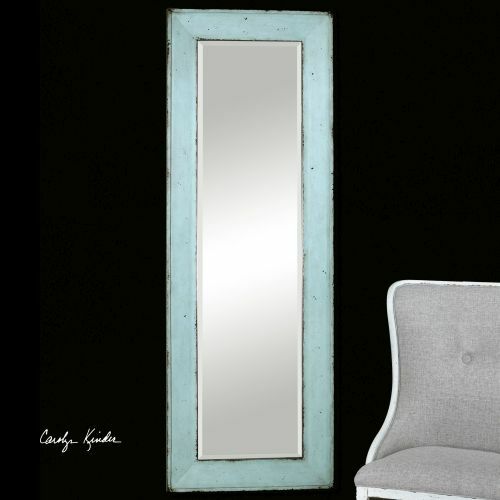 Home Decor Mirrors Combine Premium Quality Materials With Unique High-style Design. Distressed, Antiqued, Light Blue Finish Over Pine Frame Accented With Rust Brown Undertones. Mirror Has A Generous 1 1/4" Bevel. May Be Hung Horizontal Or Vertical.